FOXBURG, Pa. (EYT) – The historic Lincoln Hall in Foxburg was recently featured on Kaleidoscope the Series. Kaleidoscope The Series is a locally produced TV news magazine covering the West-Central Pennsylvania area highlighting unique people, places, and things in the region. Lincoln Hall in Foxburg is the main venue for most of Allegheny RiverStone Center for the Arts’ (ARCA) performances. It is located on the second floor of the Foxburg Free Library, which was built in 1909. “When the library was built in 1909, Lincoln Hall as you see it now was the community theatre,” Executive Director of ARCA John Soroka notes in the show. Meticulously restored to its original condition by the Steffees, the theatre boasts the original hand-painted canvas backdrop of an actual scene downstream on the Allegheny River, as well as a glorious seven-foot Steinway piano. It is a relatively small venue with a maximum seating capacity of 120 which offers listeners more intimate performances with warm acoustics and unobstructed sightlines. The Lincoln Theatre is also is the home of the restored and fully functional McKissick Mighty Wurlitzer Theatre Organ. Wurlitzer theater organs became popular in the early part of the 20th century after being developed as an accompaniment for silent films, with the ability to imitate an entire orchestra and create special sound effects. The McKissick Mighty Wurlitzer at Lincoln Theatre was previously owned by Paul McKissick, who spent eleven years lovingly restoring it. Later, when McKissick and his wife Sally decided to downsize, he elected to offer it to Dr. Steffee for Foxburg. “It was right at the time when Dr. Steffee and Patricia were restoring Lincoln Hall to near original condition, and the doctor was so thrilled to be able to buy it and move it here so that we could preserve it for future generations,” Soroka said. McKissick spent more than a year on the installation of the Mighty Wurlitzer Organ at Lincoln Hall before it was ready to debut in 2006. He and his wife, who currently reside in Venango County, then became part of the Foxburg community, with McKissick’s organ performances continuing to delight to audiences in Foxburg on the Mighty Wurlitzer. Pictured, left to right: Dr. Arthur and Patricia Steffee, Scott Foppiano, and Sally and Paul McKissick. While the Wurlitzer is one major feature of Lincoln Hall, it is far from the only focus of the historic venue. According to Soroka, the venue plays host to an average of 20 to 24 musical performances per year. “We try to cover everything from Bach to Rock. We want to appeal to the widest possible audience that we can,” he noted. Upcoming events include the Wurtlizer Christmas Celebration featuring Dave Wickerham which will be held at Lincoln Hall on Sunday, December 16 at 2:00 p.m. and Pittsburgh Symphony Brass – The Song of Christmas to be held at the Memorial Church of Our Father on Sunday, December 23, at 7:00 p.m.
Next to Lincoln Hall stands another ARCA venue of a different type, the Red Brick Gallery & Gift Shop, where visitors can peruse artwork from 13 cooperative artist members on the ground floor as well as the work of other outside artists on the second floor, many of which are available for purchase. “One of the things that Dr. Steffee and his wife Patricia had a vision for when they started the Allegheny RiverStone Center for the Arts was not only to bring music to this lovely river valley but also art,” Soroka said. The Red Brick Gallery & Gift Shop also plays host to occasional events, such as the upcoming Holiday Exhibit to be held on Sunday, December 16, beginning at 12:00 p.m.
To learn more about Lincoln Hall, the Red Brick Gallery & Gift Shop, and Allegheny RiverStone Center for the Arts, check out the Kaleidoscope episode or visit the ARCA website available here. Kaleidoscope The Series, which is filmed, edited, and produced by Cam-Ron Video Productions, LLC and hosted by Sara Cameron, airs every Sunday on WATM ABC 23 at 10:00 a.m. and 6:00 p.m. Following a partnership between Kaleidoscope The Series and the PA Great Outdoors Visitors Bureau in 2016, the Kaleidoscope series began to venture further into western Pennsylvania, featuring stories in the five PAGO counties (Clarion, Jefferson, Elk, Forest, and Cameron), and sharing those stories with PA Great Outdoors Visitors Bureau. 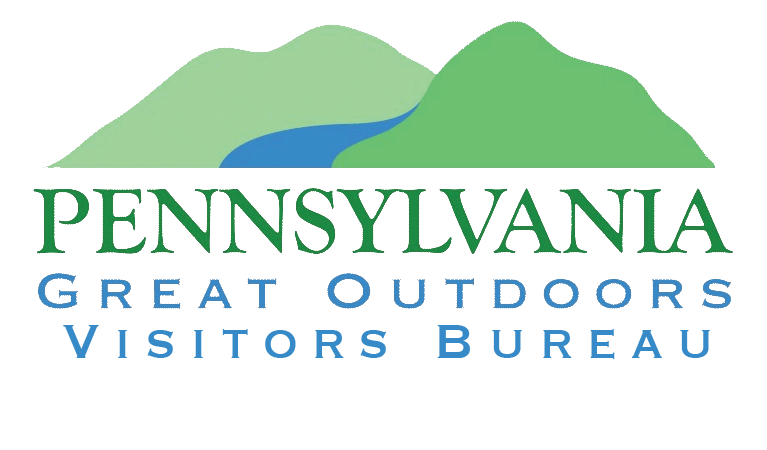 For tips on more exciting things to do and places to go throughout the always intriguing Pennsylvania Great Outdoors region, check out VisitPAGO.com or call 814-849-5197.